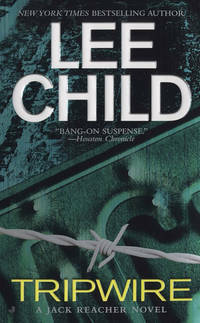 Reacher's anonymity in Florida is shattered by an investigator who's come looking for him. But hours after his arrival, the stranger is murdered. 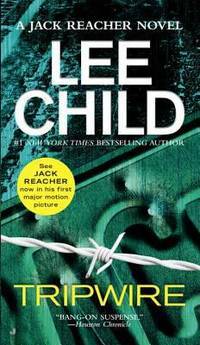 Retracing the PI's trail back to New York, Reacher's compelled to find out who was looking for him and why. He never expected the reasons to be so personal--and twisted. Berkley. Used - Good. wrapped With CD! A sound copy with only light wear. Overall a solid copy at a great price! some highlighting All orders guaranteed and ship within 24 hours. Your purchase supports More Than Words, a nonprofit job training program for youth, empowering youth to take charge of their lives by taking charge of a business. Berkley. Mass Market Paperback. GOOD. Spine creases, wear to binding and pages from reading. May contain limited notes, underlining or highlighting that does affect the text. Possible ex library copy, thatâll have the markings and stickers associated from the library. Accessories such as CD, codes, toys, may not be included. Berkley, 2007. Mass Market Paperback. Acceptable. Disclaimer:A readable copy. All pages are intact, and the cover is intact. Pages can include considerable notes-in pen or highlighter-but the notes cannot obscure the text. An ex-library book and may have standard library stamps and/or stickers. At ThriftBooks, our motto is: Read More, Spend Less.Dust jacket quality is not guaranteed. Berkley, 2007. Mass Market Paperback. Acceptable. Disclaimer:A readable copy. All pages are intact, and the cover is intact. Pages can include considerable notes-in pen or highlighter-but the notes cannot obscure the text. At ThriftBooks, our motto is: Read More, Spend Less.Dust jacket quality is not guaranteed. Berkley. MASS MARKET PAPERBACK. 0515143073 Average amount of wear expected. . Good. Berkley. MASS MARKET PAPERBACK. 0515143073 Meets the good condition guidelines. Tear on cover. Repaired with book tape. Has wear. Five star seller - Buy with confidence! . Good. Berkley. MASS MARKET PAPERBACK. 0515143073 **Has crinkling and staining** Meets the acceptable condition guidelines. Has wear. Five star seller - Buy with confidence! . Fair. Berkley. MASS MARKET PAPERBACK. 0515143073 Ships quickly. Mild to moderate shelf/reading wear. PREVIOUS OWNER NAME AND STAIN FLYLEAF. SCUFFING ON SPINE. MARKING ON PAGE EDGE. Orphans Treasure Box sells books to raise money for orphans and vulnerable kids. . Good. Berkley. 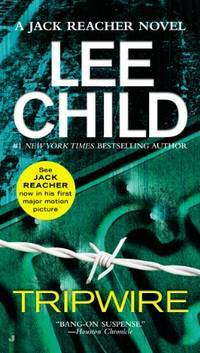 MASS MARKET PAPERBACK. 0515143073 Ships quickly. Mild to moderate shelf/reading wear. Orphans Treasure Box sells books to raise money for orphans and vulnerable kids. . Good. Jove. Used - Good. Shows some signs of wear, and may have some markings on the inside. Jove, May 2007. Mass Market Paperback. Used - Acceptable. First book has a $3 shipping fee, there is no additional shipping fee for addition books from our store. All of our books are in clean, readable condition (unless noted otherwise). We do not accept books with water damage, strong smoke smell, or just plain beat up. Our books generally have a store sticker on the inside cover with our in store pricing. If the edges are starting to get wore, but the book is otherwise in good condition, we may have clear tape reinforcing the edges. Being used books, some of them may have writing inside the cover. If you need more details about a certain book, you can always give us a call as well 920-734-8908. Berkley. Used - Good. Good condition. Jove, 2007. Mass Market Paperback. Good. Tall paperback. Sound & good copy, light to moderate rubbing/edgewear to wraps, thumbing wear. New York, NY, U.S.A.: Jove Books, 2009. Forty-sixth Printing. Tall Mass Market Paperback. Good. Brief summary of content available on request by e-mail. New York, NY, U.S.A.: Jove Books, 2009. Twenty-fourth printing. Tall Mass Market Paperback. Good. Brief summary of content available on request by e-mail.